Me: Good. I’m a little tired. I’ve been training for a thing I have coming up. Person: Oh yeah. What is that thing you do? The thing with backpacks or something. Me: (Staring into the distance, trying to find where to even begin with this discussion. Should I start with explaining rucking or should I just jump right into GORUCK events? Either way, I’m doomed. Neither is sufficient to encapsulate the awesomeness of all I’ve experienced at the hands of GORUCK. Crap, I’ve already stood here speechless for 7 seconds staring at the wall. Say something!) Uh, yeah. It is called GORUCK. It’s kind of a crazy hobby. I basically pay special forces guys, like Green Berets and Navy Seals, to yell at me for 12 hours while carrying really heavy stuff. It’s pretty crazy. Person: Oh… uh… cool. So, about those TPS reports, I’m going to need to have those on my desk by the end of the day. Yeah. Great job on that one. After one too many of these failed attempts to explain GORUCK, I’ve decided to refine my elevator pitch. Here’s what I’ve come up with. Person: So, what is that thing you do? Me: It is called GORUCK. It’s a 12-hour endurance event lead by guys that are either current or former special forces operators, like Seals or Green Berets. The events focus on teaching leadership and teambuilding through adversity. It is a really amazing experience that has taught me a lot about myself and how to face difficult situations. Truthfully, I haven’t had the opportunity to try this sales pitch, but I expect it will be received with far less blank stares and confused looks. Here are some other questions I’ve decided to refine my answers to. Person: So, is it like a race? Like a Spartan or Tough Mudder? Me: Not really. This isn’t a race. It is more of an event. The team has objectives and have to work together to achieve them. When everything is done, the event is over. We fail and succeed as a team. Person: So, you have to put together a team? Me: No, that’s the beauty of it. Everyone who signs up is “the team.” That’s where leadership and teambuilding happens. Trying to overcome difficulty with a bunch of people you don’t know. Person: So, what do you actually do in a GORUCK? Me: Every event is different, but there will be a lot of physical challenges. So, there will be times of PT where you have to do pushups and stuff like that. But, then you will be given a task, like go to point A as a team and be there in 15 minutes. GO. Oh, and you have to carry this log. Person: Why would you do this? Me: I like to do hard things and push myself. Every event I do I learn more about myself, both strengths and weaknesses. It has given me tools that make me a better leader and team member in work and life. Person: Sounds crazy. I’d never do anything like that. Me: Yeah, it’s a little crazy. But, I think you could do it. Part of the beauty of the team is that they’ll do everything they can to make sure everyone finishes. It is pretty cool. I’ll let you know next time I’m doing one. You should totally join me. You’d crush it. 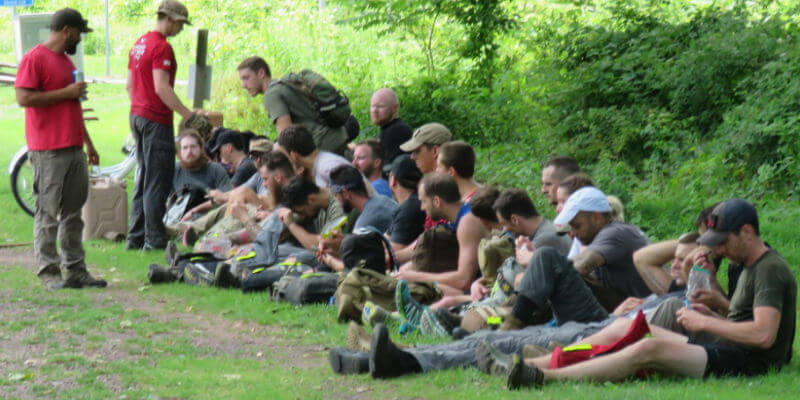 GORUCK can be difficult to explain because it is so much more than an event. All of us who have gone through an event know the physical, mental, and emotional battles we faced. The lessons we learned are more numerous than a 10-second explanation can capture. But, we know that GORUCK events are crazy looking to outsiders. Our minds race to pick what to say. The truth is that our explanations will all fall short. People just need to experience it to “get” it. Hopefully, I can give them a non-terrifying and coherent answer to their questions and get them to join me for some Good Livin. Then, I can watch them as they try to explain it to their friends and family. What about you? 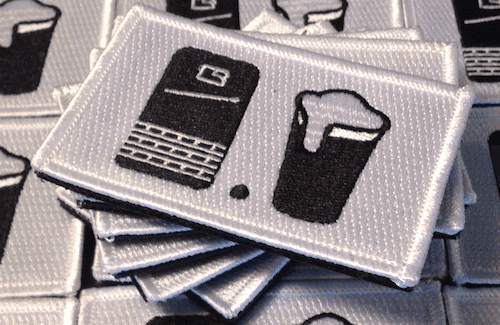 Any good stories of trying to explain GORUCK? Got your own elevator pitch? Drop them in the comment section below. Heh … on that photo … I’m famous! The awkwardness of the initial response mirrors me trying to explain to people why I decided to go to VMI in the 7th grade. I graduated in the summer of 1989 (long story), but the people who do it, “get it”. That could not be more correct.